Africa DVD Review Once again the BBC and Attenborough have created a wonderful documentary series with Africa that should be in every home in Australia. David Attenborough is a modern institution and he has produced some amazing documentaries about planet Earth and its wonderful inhabitants. With that said, it's great to see this 86-year old man (believe it or not) still actively producing documentaries and Africa, his latest endeavour is no exception to the rule. 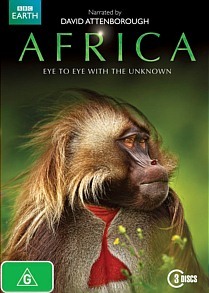 It's an emotional and fascinating journey of some of the world's most wonderful creatures. Recently screened on Channel 10 in Australia, Roadshow have just released the full collection on Blu-ray and DVD which features all six episodes. Presented by Attenborough himself, he once again provides the documentary with a wizened old face and his classic English accent to help immerse the viewer into the startling continent called Africa. However apart from the informative information provided, where Africa shines is through the wonders of modern technology. 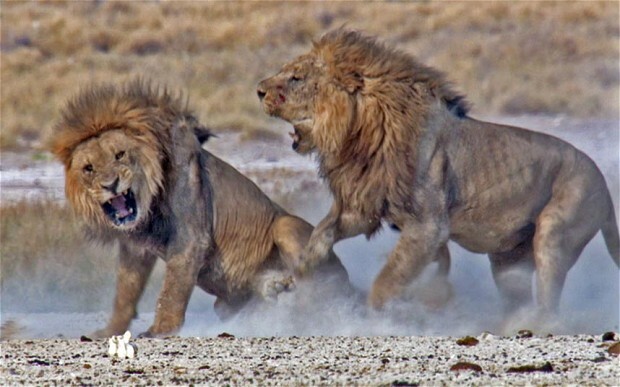 The filming techniques and technology employed by the BBC have allowed Africa to be captured in some amazing high definition ways from magnificent close-ups to panoramic shots of deserts and forests. Using this state of the art technology, it really allows the viewer to part of the experience that almost makes it feel like you are just sitting next to these majestic creatures from monkeys to elephants and lions. A special mention should be made about the soundtrack to Africa which really creates this emotional link to the documentary and the viewer. Episode 1 revolves around the Kalahari and the animals that call this home such as the rhinos or the clever meerkats. The highlight in this episode is seeing a giraffe defend his patch of the territory in this harsh condition. Episode 2 is the Savannah, a rich land that suffers from flooding and drought which showcases some amazing footage of a 1.2metre tall wild shoebills. 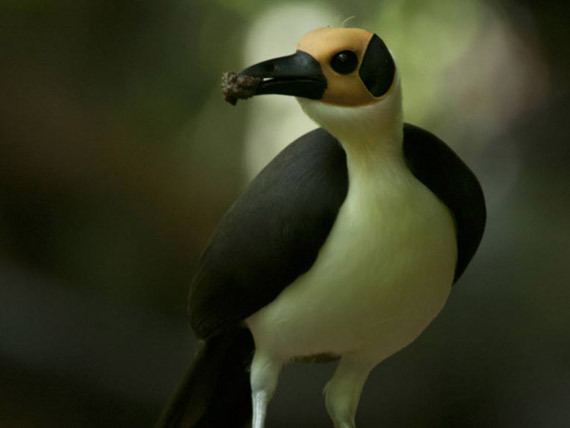 These are really talls birds! Episode 3 moves onto the Congo which once again showcases the diverse wildlife from elephants, chimpanzees and some diverse and colourful bird life. Seeing the hippos swimming in this episode is quite special. The next episode, 4, highlights the coast of Africa from turtles to whales plus dolphins and is probably the most colourful of episodes. Following this is episode 6, the Sahara, one of the harshest places on Earth but even though most animals in the world could not survive here, the BBC crew have captured some truly fascinating footage of the animals that call this place home. 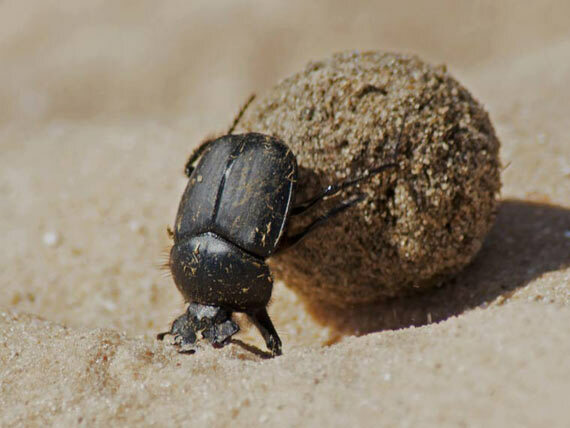 Seeing the amazing footage of the sand dunes or dung beetles is a treat to watch. The last episode 6, is probably the most moving of episodes as it highlights the effect mankind has had on Africa. However through the dedication of some individuals, they are working hard to save the animals of this continent. Whether it's the Massai Warriors becoming lion protectors opposed to lion hunters or the ingenious underpass made for elephants, they are actually having a huge impact on these animals. It's quite a moving experience. Once again the BBC and Attenborough have created a wonderful documentary series with Africa that should be in every home in Australia. Best of all, this documentary shows viewers things that have not been seen before in any other documentary such as the fierce black rhinos who actually have a soft side to them during the night as they court their female counterparts. What a captivating series!